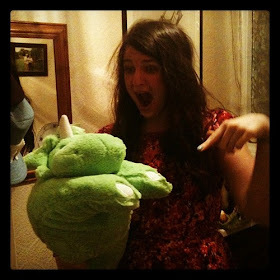 t*rexes and tiaras: Simplicity 6587.. Lately I've seen a number of cute shirt dresses being made across the blogging and sewing community, Roisin's being a particular favourite. 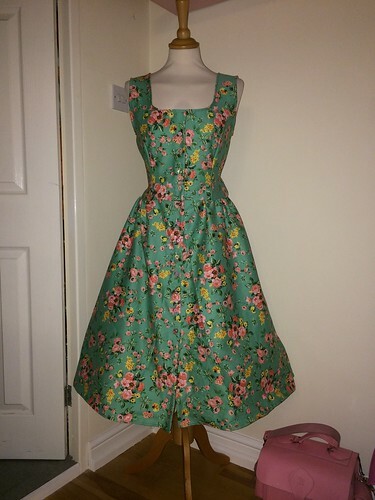 When I later saw and completely fell in love the Voodoo Vixen Tilly dress, I realised that I had some similar fabric and that I could probably have a go at making my own version. 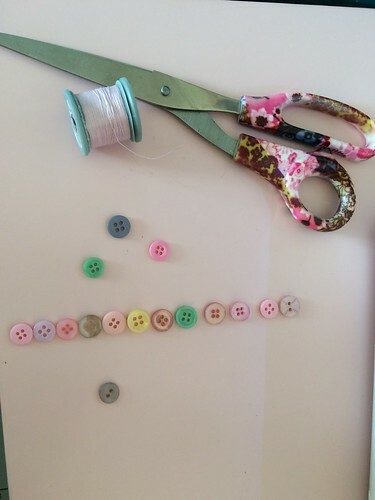 Cue the Simplicity 6587, which gives plenty of options in terms of collars, sleeves, waist ties etc. 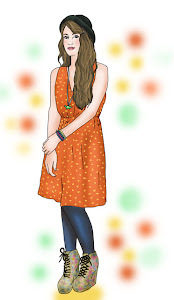 I had planned to make the collared, sleeveless view (B), but didn't quite have enough fabric, so something had to give. 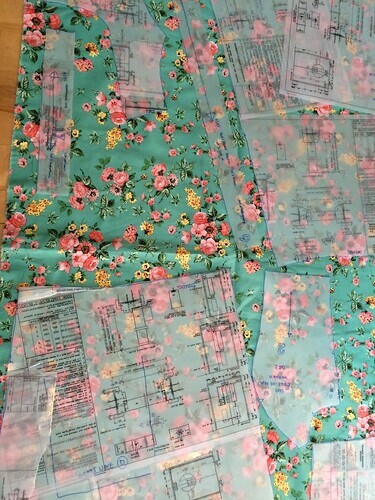 I guess that is the problem with buying your fabric first and deciding on a project later. I had plenty to cut out the sleeveless view, though. Following the instructions was simple enough - I don't think I've ever tried a Simplicity pattern not to be straightforward, so that didn't really come as a surprise. the dress came together quickly and easily and in a couple of hours. Next up, I had to decide on buttons. I used the buttonhole guide to establish placement, but having now tried the finished dress on, I think I'm going to add another one, right at the top of the neckline, to avoid gaping. I was kindly sent this pattern to review, but would have said the same things about it if I hadn't been. I wouldn't hesitate to recommend it, but as with all of the Simplicity patterns I've made, I'd suggest sizing down as their sizing comes up quite large. Thank you! 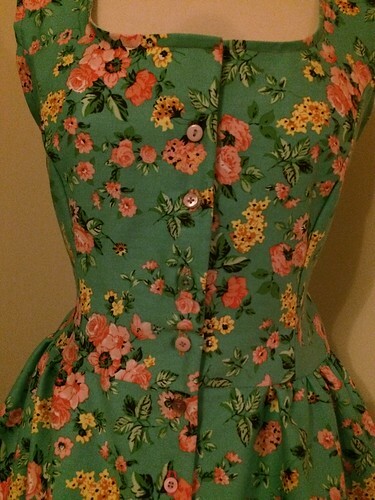 I'm quite pleased with it, once I've got that last button on the top I'll be wearing it a lot for Spring, I'm sure! I've been lusting after the Tilly for months now, but as I'm not allowed to buy anything this year, I'm trying to make as many of my own versions of the things on my wishlist as possible. 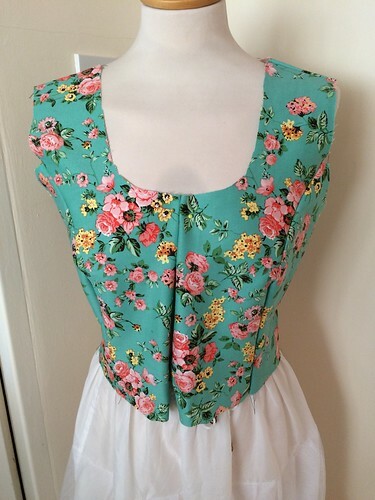 really like the neckline shape on this, and the fabric too! What a gorgeous dress, I wish I could so, I cant even sew on a button! It was more because I didn't have enough of any one colour and was too impatient to wait. 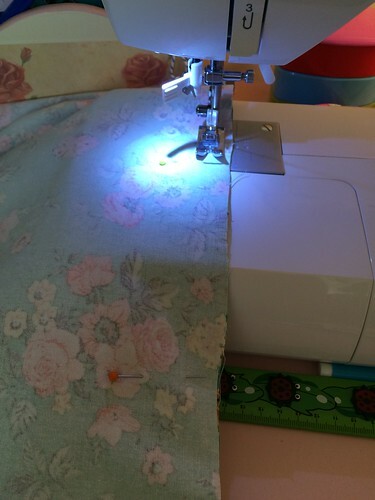 But I'm pretty glad that they seem to look OK.
Beautiful Spring fabric, love it.